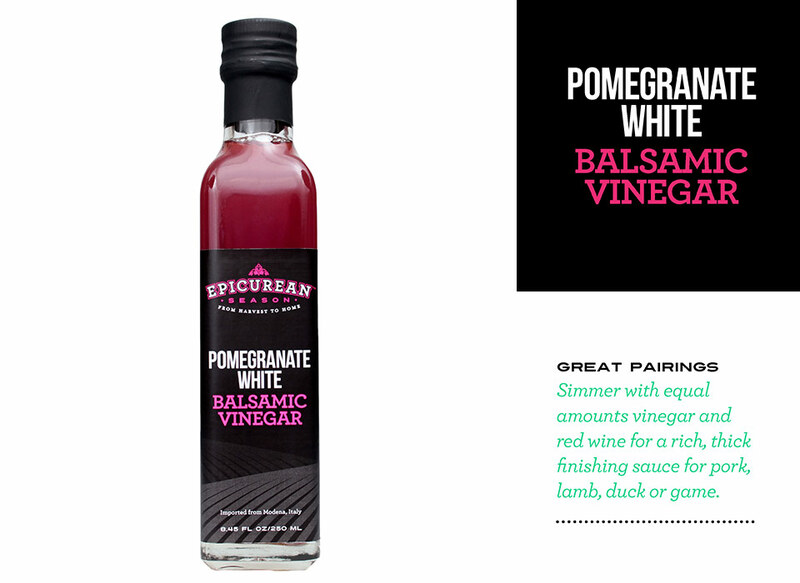 Italian White Balsamic Vinegar is blended with fresh pomegranate juice for a perfectly balanced flavor. 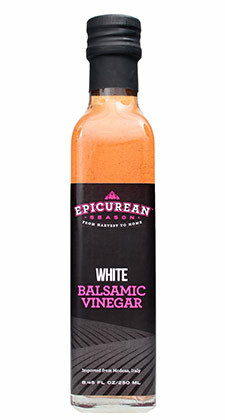 Combine with extra virgin olive oil for a great salad dressing. 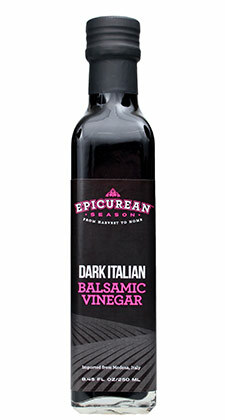 Slowly simmer with red wine until thick for a great finishing sauce for pork, lamb, duck or game.